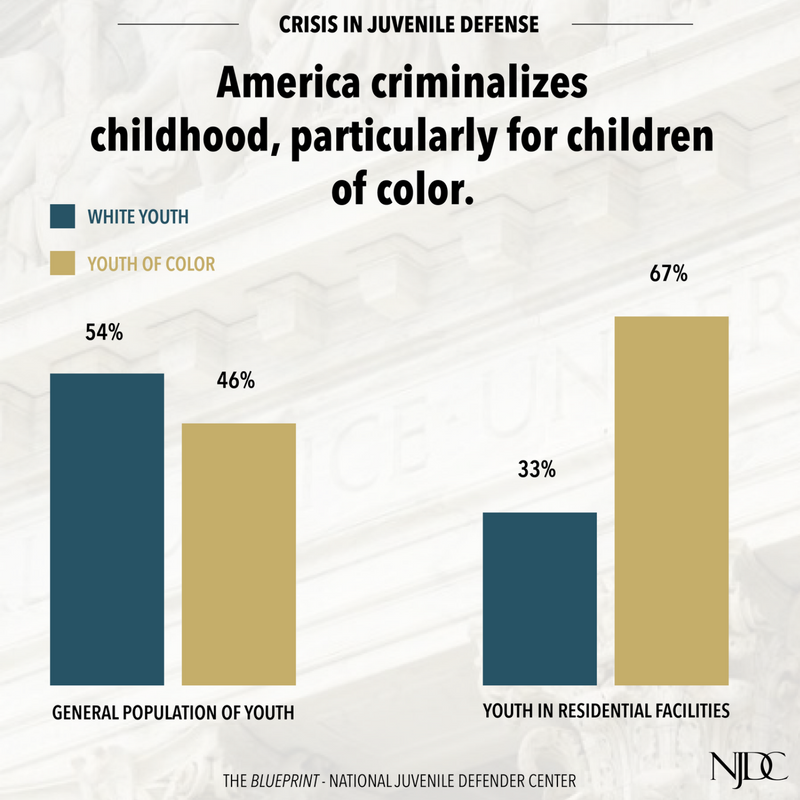 NJDC and our partners around the country are not satisfied with the status quo in our juvenile justice system. We are dedicated to redefining and reforming juvenile defense practice and juvenile defense delivery systems. The introduction of new and innovative ideas, methods, structures, and systems can improve juvenile defense, either incrementally or instantly, often with profound improvement for the nation’s youth. 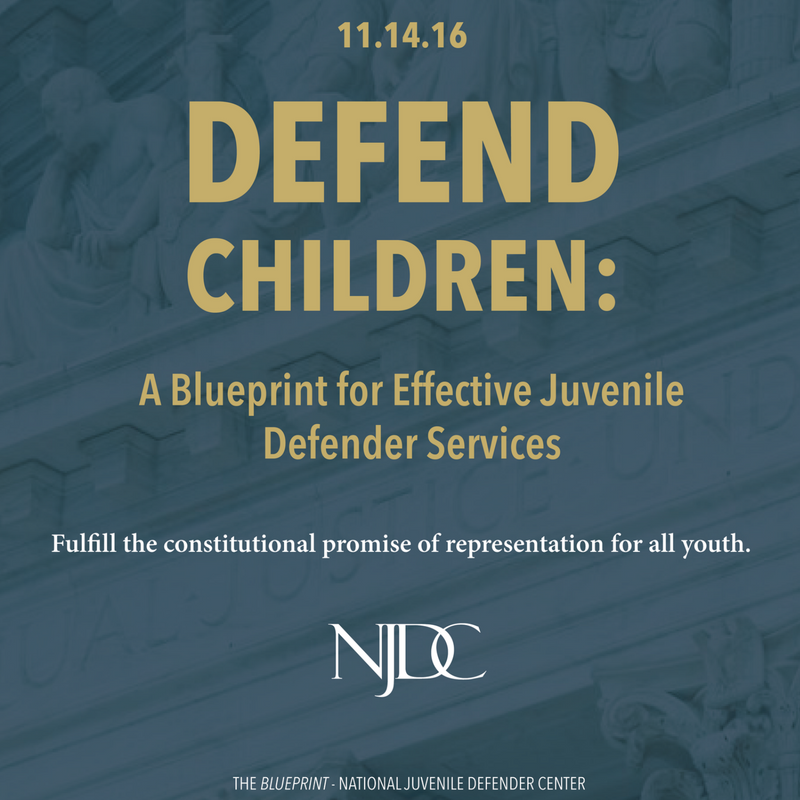 NJDC believes the innovation is key to raising the level of practice in and support for indigent juvenile defense. When the same old approach ends in the same old results, new strategies are needed to push reform forward. Whether it is through zealous advocacy in an individual case or larger movement on a system issue, NJDC actively encourages innovation and will use this section of its website to highlight these ideas. 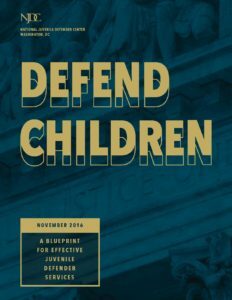 In November 2016, NJDC released Defend Children: A Blueprint for Effective Juvenile Defender Services a report detailing how children in the U.S. are arrested, prosecuted, and too often incarcerated without attorneys at their side. Youth, and disproportionately youth of color, are swept into a system that criminalizes normal childhood behavior and deliberately withholds rights and protections that children not only deserve, but are constitutionally entitled to receive. Our most vulnerable defendants are the least likely to have effective attorneys in juvenile courtrooms. The Blueprint proposes solutions to the ongoing crisis in juvenile defense; illustrates its disparate impact on historically oppressed communities; and highlights innovative and replicable programs across the country that are improving children’s access to justice. Here are some other indigent juvenile defense innovations that are taking hold around the country. Innovation takes leadership. NJDC strives to support individuals and organizations who are taking steps to raise the profile of juvenile defense and promote the reality that representing youth in delinquency proceedings is a specialized practice. There are defender champions around the country making incredible marks in the field of juvenile defense. Check out our profiles of some of these trailblazers making a difference and protecting the rights of children. As legislators across the country learn more about how developmental science, evidence-based practices, and data inform justice, several states have taken an in-depth look at their juvenile laws and court rules to reexamine whether youth and communities are best served under current laws. NJDC encourages states to engage in methodical and comprehensive examinations of their juvenile codes and make changes were they feel they are necessary. Kansas engaged in such an effort when it established a statewide Juvenile Justice Workgroup in 2015 to comprehensively examine Kansas’ juvenile justice system. The goal was to develop data-driven policies based upon research and built upon consensus among key stakeholders from across the state. Leaders of the executive, judicial, and legislative branches of the state established this bipartisan Workgroup, which published its findings and recommendations in November 2015. Those recommendations were presented to the legislature and became the basis for the comprehensive 2016 Kansas Juvenile Justice Reform Act, commonly referred to as SB 367. That omnibus legislation ushered in a significant number of changes to the Kansas Juvenile Justice Code. NJDC has developed this summary of key changes brought about by SB 367. 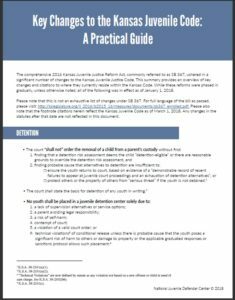 With the majority of those changes now in effect, it is our hope that this tool will help all justice systems stakeholders to better understand where and how Kansas’ juvenile code has changed. If you have a juvenile defense innovation you think our community should hear about, please contact NJDC.